ISIS's recent battleground defeats and its loss of most of the areas in Syria and Iraq it once controlled have forced group leaders to find an alternative operating base to regroup. Libya, without a unified government or secure border, as well as vast expansive desert, remains the most alluring country for the remnants of ISIS and al-Qaida. It was in that sparsely populated Libyan desert that ISIS set up a new "army" last fall after the group was driven out of Sirte and liberation by the Libyan army, supported by U.S. airstrikes. Libya's southern desert is a lawless region known for major smuggling operations and human trafficking. ISIS treats Libya as its next frontier, creating alarm among North African security agencies. ISIS is aggressively targeting more Libyan army outposts and checkpoints. It used suicide bombings to attack the army in southern Libya. ISIS in Libya is now a merger of three groups loyal to Abu Bakr Al Baghdadi, said Libyan General Prosecutor Al Sadiq Al Sour. Its leader is a Libyan-born jihadist named Al Mahdi Salem Danqo, aka "Abou Al Barakat." He is suspected of participating in the 2015 massacre of 21 Egyptian Copts which prompted Egypt to retaliate with airstrikes in Libya. Abou Al Barakat reportedly worked in Mosul's Sharia courts in Iraq for ISIS leader Abou Bakr Al Baghdadi. Between 2,600-3,500 foreign fighters from 41 countries have flowed into Libya during the past seven years, but the pace reportedly has escalated as ISIS suffered defeats in Syria and Iraq. Most, around 1,500, come from Tunisia. The new ISIS campaign adds to the turmoil in southern Libya, which already is home to African mercenaries. Recent clashes in the strategic city of Sabha led Libyan Army Commander Brigadier General Khalifa Haftar to initiate operation "Law Enforcement." Libya's air force conducted airstrikes on the mercenaries' camp to restore order; however, they still face a much larger threat from ISIS. According to United Nations Libya Panel report, ISIS has been trying to gain favor with southern Libyan tribes through cash offerings. In addition, ISIS emissaries are offering protection to smuggling networks in exchange for long term financing sources and help establishing a solid presence in the south. Coinciding with the ISIS expansion in southern Libya, al-Qaida affiliates also are active in the area and support its expansion. The rival terrorist groups "have never attacked each other here and now we have evidence that they are actively cooperating," said Libyan Defense Minister Mahdi Barghathi. 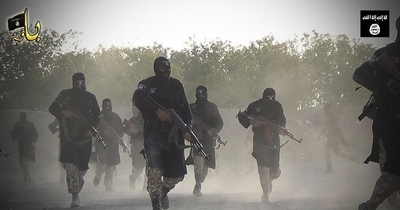 "Al-Qaeda is providing logistics and support to help [ISIS] re-group and launch attacks." Barghathi claimed that notorious al-Qaida terrorist Mokhtar Belmokhtar, who was believed to have been killed in 2016, is alive and supervising some ISIS remnants who fled Sirte when it was liberated by Libyan forces. Belmokhtar led the deadly 2013 attack on an Algerian gas plant, killing 37 Western hostages. Al-Qaida in Libya has an estimated 5,000 fighters and has been trying to grow since the 2011 revolution. Al-Qaida's presence in Libya dates back to the 1990s, through different names including Ansar Al Sharia and Shura Councils in Benghazi, Derna and Sirte. The latest recordings by al-Qaida leader Ayman Al Zawahiri confirm that the group plans to expand in the Maghreb region (Libya, Tunisia, Algeria and Morocco) by inciting the Muslims to rise against tyrants and invaders such as the French. Moreover, new reports confirm that Nigerian based Boko Haram is planning to infiltrate Europe using migrant paths running through southern Libya. U.S. officials reported in 2016 Boko Haram was sending fighters to ISIS in Libya. Terrorist groups already have used their Libyan base to spread terror into Europe. Salman Abedi, who killed 22 people in last May's suicide bombing at an Arianna Grande concert in Manchester, England, is believed to have been trained in Libya with the ISIS-affiliated special operations unit Katibat al Battar al Libi. Similarly, Tunisian born terrorist Anis Amri, who killed 12 people when drove a truck through a Berlin Christmas market in December 2016, also was connected to Libyan ISIS affiliates. Those ties led the United States to bomb ISIS camps in southern Libya hours after Amri's terrorist attack. The two European terrorist attacks and the ongoing threat of similar violence is a direct consequence of ISIS's expansion in Libya, where it has proven capabilities of training recruits to attack elsewhere. As the ISIS threat grows and more foreign fighters join them in Libya, it may be time to consider dealing with it in the same manner that curbed ISIS in Syria and Iraq. The Trump administration ordered airstrikes in September, which were instrumental in helping Libyan forces to eliminate ISIS presence in Sirte. Will the United States form another strong international coalition against terrorists in Libya? The Libyan army and regional powers such as Egypt, Algeria and Tunisia all have an interest in stopping the spreading cancer of ISIS and al-Qaida in Libya and the rest of the world. Failing to confront ISIS in Iraq and Syria led to catastrophe.